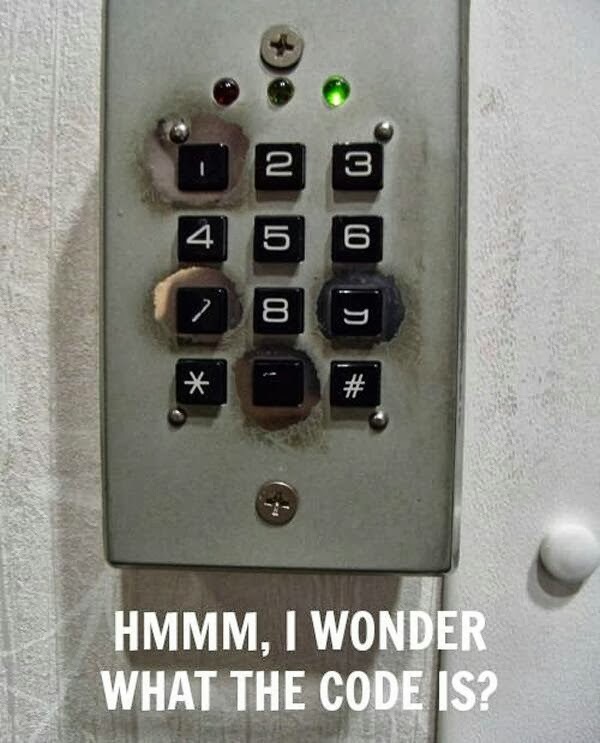 Security Memetics: "Hmmm, I wonder what the code is?" this is one kind of password that probably should be changed on a regular basis. i think you can see why.